Shopping for a laptop at Nguyen Hoang Computer Mart in Ho Chi Minh City’s District 5. Naturally, laptops find plenty of buyers because they are portable. What’s making them even more popular is the gradually falling price. For just US$600, you can be the proud owner of a beefy laptop from Hewlett-Packard, Toshiba or any of the other big names. 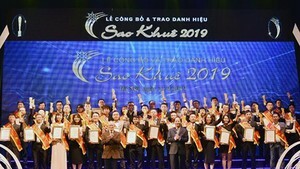 Cao Minh Kim Khanh, director of the Nguyen Hoang Company, one of the top computer dealers in Ho Chi Minh City, says that 45 percent of his company’s revenue comes from selling laptops. Last year it was impossible to buy a new laptop for under US$1,000 but now, says Khanh, you can buy one with everything a student or office worker could desire for US$600. What’s more, he is confident of sharply lower prices in the near future, led by the well-known computer maker Acer. Certainly a laptop is more expensive than a comparable desktop, for now at least, but laptops look sure to be the preferred choice of Vietnamese people within a few years. 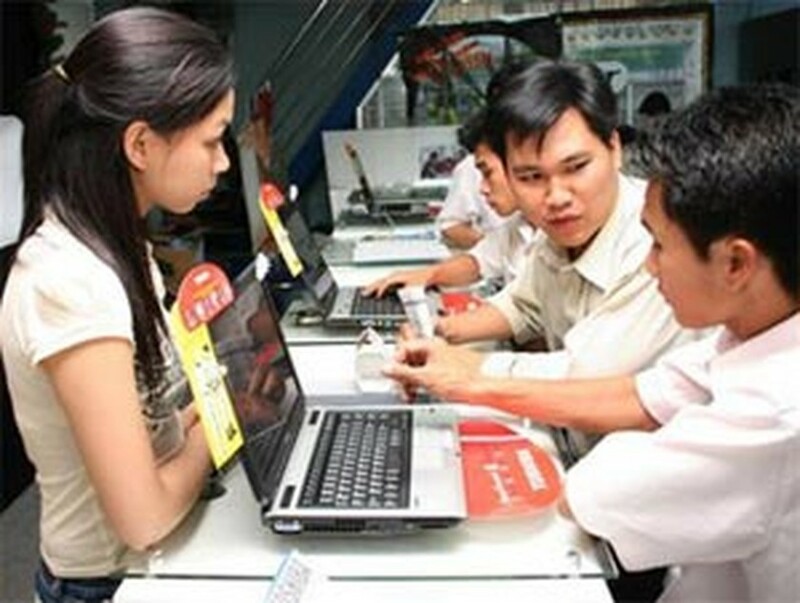 Le Thanh Hung, chief executive of the computer supplier T&H, forecasts that laptops will capture the premier position in the marketplace sooner than most people think. Also, Viet Nam’s becoming a member of the World Trade Organization will have a positive impact on the price, as the import tariff on laptops is scheduled to fall from the current 10 percent down to zero.